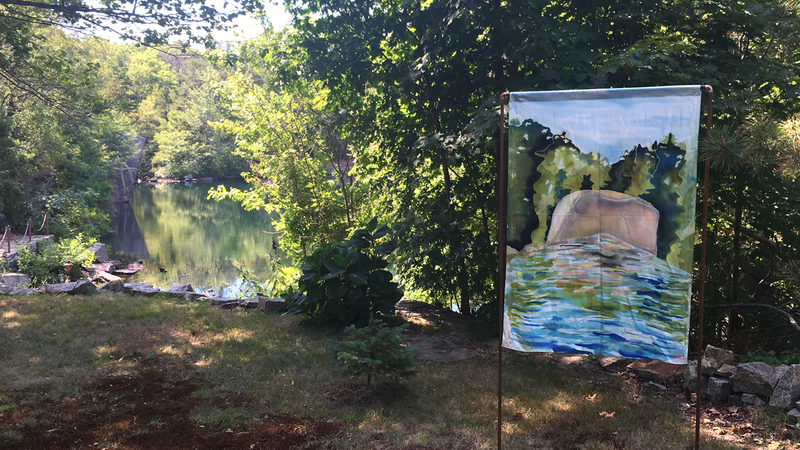 Susan Quateman and Leslie Bartlett (SQ & LB Artist Collaboration) created an exhibit in 2016 ‘Climate Change Resilience and the Quarries of Cape Ann’ using photographs by Leslie Bartlett and silk paintings by Susan Quateman. This art and science exhibition introduced research by The Nature Conservancy that identified the Cape Ann quarry environment as a ‘resilient landscape,’ one that can withstand the impacts of global climate change. 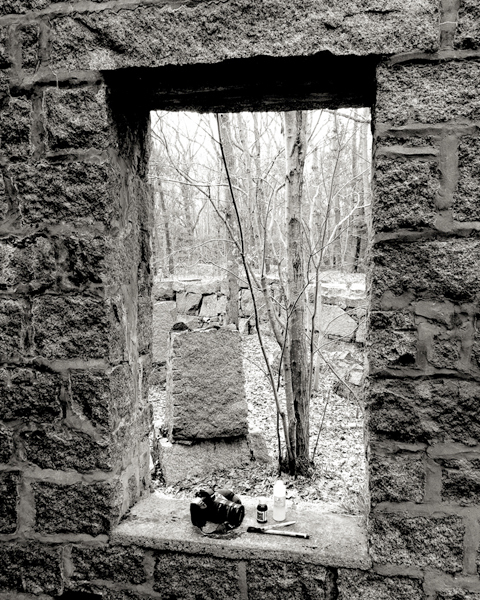 The project was showcased at the July 29 - July 31 ​Windhover Center for Performing Arts’ Quarry Dance 5, located at Essex County Greenbelt Association’s Kleimola Reservation in Lanesville, MA. Additional demonstrations and shows are planned in 2017 at Essex County Greenbelt Association and the Lanesville Community Center. 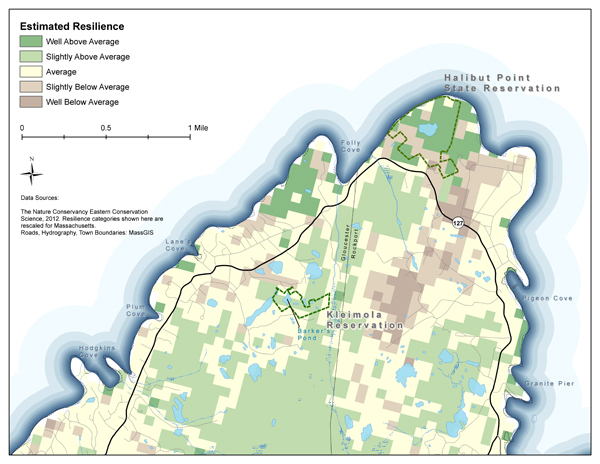 The Nature Conservancy (TNC), drawing on cutting-edge research by Dr. Mark Anderson, defines a climate-change resilient site as “an area of land with sufficient variability and microclimate options to enable species and ecosystems to persist in the face of climate change, and which will maintain this ability over time.” By examining TNC resilience maps for both Halibut Point and Dogtown (below) we see how the varied landforms with steep elevational changes—the rocky coastland, upland forests, and water-covered quarries—create microclimates that provide temperature and moisture options for wildlife and plants. These microclimates allow the inhabitant to persist at the site and buffer them from the effects of the regional climate. A recent study by the Nature Conservancy identified the Dogtown quarries and Halibut Point as among the most resilient places within the North Atlantic Coastal region.